Most people aren’t doing this and are crazy not to. I’ve been a certified health coach for over 6 years and honestly THIS is one of the BEST food tips I could ever give you. 1. Keep it as SEASONAL as possible. 2. It has to be something SO GOOD that I want to eat it over and over. 3. Keep it ULTRA SIMPLE for a busy lifestyle. 4. Keep it FINANCIALLY FRIENDLY with the highest quality ingredients at the best prices. And know which food to buy organic and which aren’t as necessary. 5. It has to be DELICIOUS food that MAINTAINS a healthy and hot Body Built By Love body. 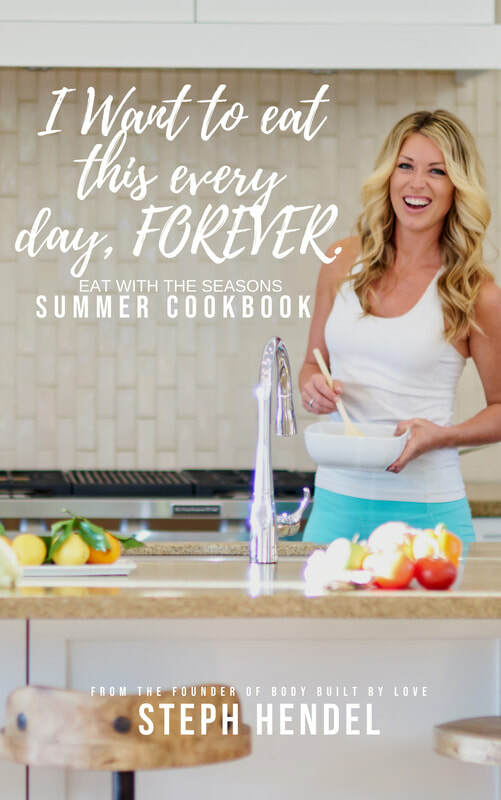 I finally created a Summer Cookbook with the BEST of the BEST summer recipes that I’m OBSESSED with. You can pre-order starting TODAY! The link to get it at the special price is below. "​For a recipe to go in my cookbook (I'm just giving you an FYI on this) it MUST be something that you would say "oh my gosh I want to eat that tomorrow and the next day and the next day because its is SO delicious!!! I have VERY, super, ultra high qualifications for every recipe that goes in the cookbook and every recipe I eat. So get ready for the most delicious Summer recipes on the planet! Personally tested, loved and eaten all Summer long by muah." yes! I WANT THE Summer cookbook! This includes Breakfasts, Lunches, Dinner, OMG Good Summer Salads, Sides & Desserts. Healthy, nourishing and HIGHLY requested by spouses, friends, kids and everyone in between. Gluten, Dairy and Artificial Sugar Free recipes to nourish your body and get you in Summer bikini shape! Every recipe designed by Steph is centered around nourishing and slimming the body while tasting EXTREMELY delicious. All recipes are simple enough to fit into every busy boss babe's schedule. ​Following the meal prep guide makes it quicker and easier to prepare your meals, allowing you to save a lot of time during the week. It makes it easy to make healthy choices, even on stressful and busy days. You'll know exactly what to buy for the week. This includes instructions on how to find the healthiest ingredients at the best price. A clear and easy to follow 7 day guide on what to eat for each meal, how much and how to meal prep to save time. Think simple, quick, delicious and money saving. Every day includes Breakfast, Lunch and Dinner with portion sizes. A simple list on what to pack for vacations, weekend getaways, one day travel and road trips. This cookbook is a digital download and includes no physical product. Guides can be accessed from your phone, tablet, computer and come in a printable version. "IF IT DOESN'T TASTE GOOD & ISN'T FUN TO MAKE - DON'T EAT IT!" "Best tasting health food on the planet! PERIOD. Dare I say better tasting than unhealthy food." ​"The food is delicious and the program layout of doing pre-week food prep makes staying on track when you have a busy lifestyle very realistic." 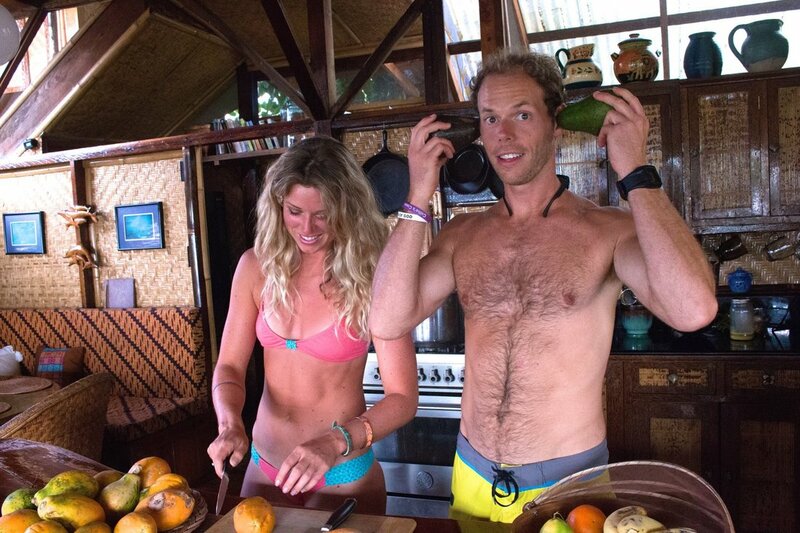 "Steph takes her time in carefully drawing out custom meal plans that leave you full and energized. They are incredibly delicious, satisfying, and fun to prepare. And talk about budget friendly too - I never thought I'd actually SAVE money by shopping at Whole Foods and other organic grocery stores!" Sign Up Here to receive free goodies in your inbox!